Not really the best app so I deleted it. If you delete this app make sure you turn off the subscriptions because even after you delete the app off you phone they will keep charging you for the subscription. Go to manage your subscriptions to double check this! 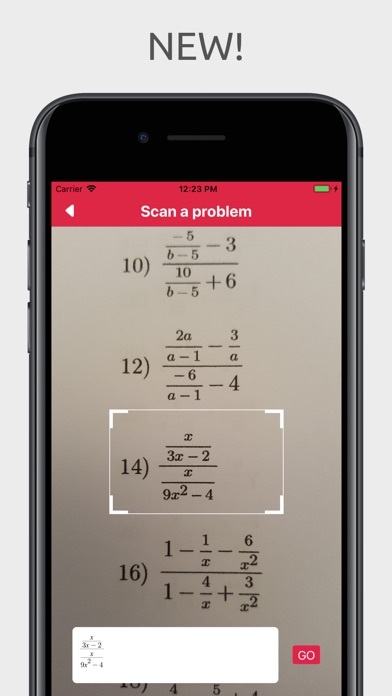 This app has helped me so much while studying for exams and quizzes. Definitely worth the subscription!! This camera scanner is so good that it makes up its own problems. Instead of solving your problems, it creates new problems for you and causes you to go insane! I’m a college student and I work a full time job so my time is pretty much full. Sometimes I just don’t have the time to sit I front of my desk spending 5-10 on a problem. I was hesitant at first about downloading this app but boy was I wrong. So glad I decided to give it a shot. For the price it offers this app is already consider cheap. 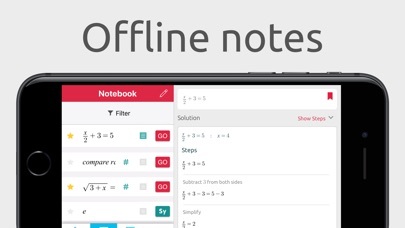 Works way better then most calculators out there. 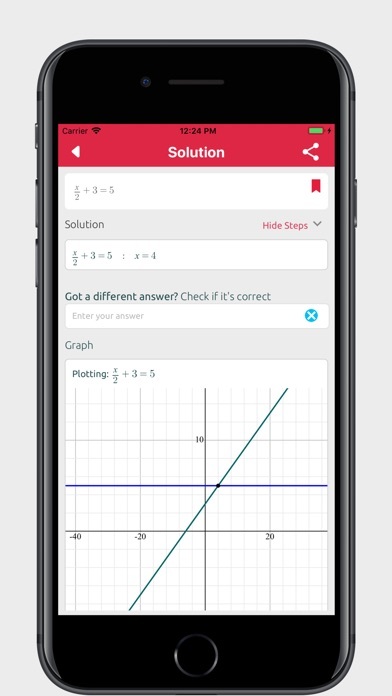 People on here complaining about the price to have problems shown how to work out... I’m in Honors Algebra 2 and this app basically does give me all the answers I need. Best app I’ve found by far. I’m willing to pay the 99¢ to get the thing but I haven’t yet. (Only two months of school left I’ll get it in August) This is fantastic to CHECK answers not just to cheat. Love it love it love it! 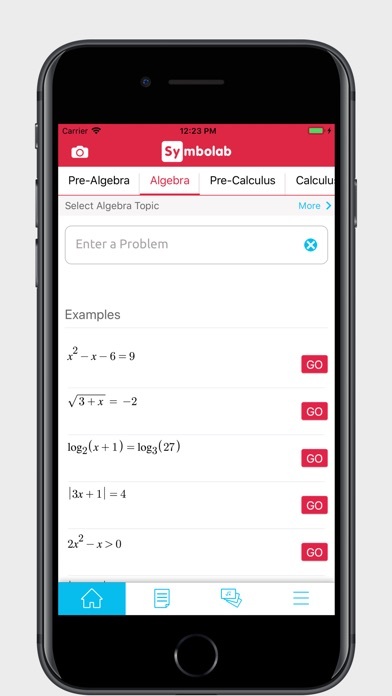 Thanks so much for helping me out because my math tutors (parents) haven’t done any of this logarithm crap in 20 yrs and sometimes I need help. 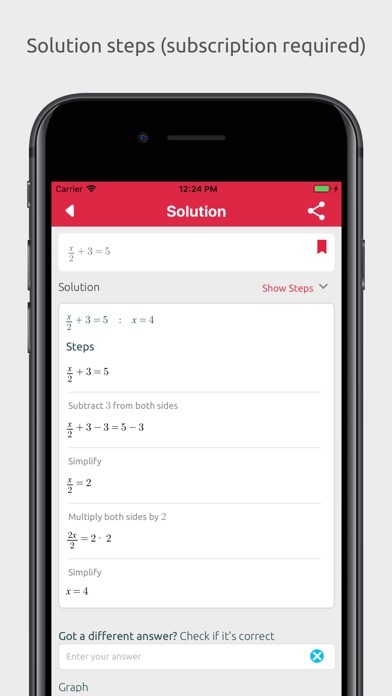 The app can’t calculate things like systems of equations properly. And the software has multiple errors with equal signs and other signs.